Charles Venuto, PharmD, is a clinical pharmacologist with experience in pharmacokinetic and population pharmacokinetic modeling. His main research interests focus on characterizing the pharmacokinetics and pharmacodynamics of approved and investigational drugs and identifying influential sources of variability in drug behavior. These could include: pharmacogenetics, drug-drug interactions, and disease progression factors. 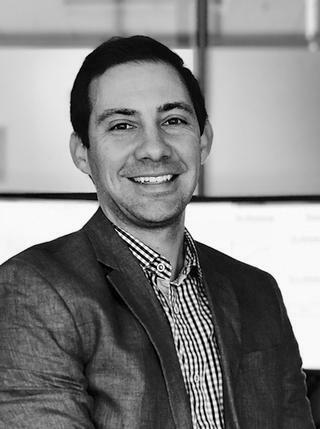 Dr. Venuto has collaborated with the New York State Center of Excellence Translational Pharmacology Research Core, the AIDS Clinical Trials Group, and CHDI (formerly the Cure Huntington's Disease Initiative) in various clinical pharmacology modeling and simulation projects. Kieburtz K, Venuto CS. TRACK-HD: both promise and disappointment. Lancet Neurology 2012; 11(1): 25-5. PMID: 22137355. Venuto CS, McGarry A, Ma Q, Kieburtz K. Pharmacologic approaches to the treatment of Huntington Disease. Movement Disorders 2012; 27(1): 31-41. PMID: 21997232. Ma Q, Zingman BS, Luque A, Fischl MA, Gripshover B, Venuto CS, DiFrancesco R, Forrest A, Morse GD. Therapeutic drug monitoring of protease inhibitors and efavirenz in HIV-infected individuals with active substance related disorders. Therapeutic Drug Monitoring 2011; 33(3): 309-314. PMID: 21544014. Goodman L Sia C, Carnes R, Vetter L, Taubman F, Venuto CS, McGarry A, Kieburtz K, Agarwal P. Advocacy recruiting for Huntington's Disease clinical trials. PLoS Currents 2011; 3: RRN1230. PMID: 21532913. Venuto C, Brown J, Butler M, Dodds EA. Alternative therapies for Clostridium difficile infection. Pharmacotherapy 2010; 30(12): 1266-78. PMID: 21114394. Ma Q, Brazeau D, Zingman BS, Reichman RC, Fischl MA, Gripshover BM, Venuto CS, Slish JC, DiFrancesco R, Forest A, Morse GD. Multidrug Resistance 1 polymorphisms and trough concentrations of atazanavir and lopinavir in patients with HIV. Pharmacogenomics 2007; 8(3): 227-235. PMID: 17324111. Latourelle JC, Beste MT, Hadzi TC, Miller RE, Oppenheim JN, Valko MP, Wuest DM, Church BW, Khalil IG, Hayete B, Venuto CS. "Large-scale identification of clinical and genetic predictors of motor progression in patients with newly diagnosed Parkinson's disease: a longitudinal cohort study and validation." The Lancet. Neurology.. 2017 Nov 0; 16(11):908-916. Epub 2017 Sep 25. Gupta SK, Yeh E, Kitch DW, Brown TT, Venuto CS, Morse GD, Ha B, Melbourne K, McComsey GA. "Bone mineral density reductions after tenofovir disoproxil fumarate initiation and changes in phosphaturia: a secondary analysis of ACTG A5224s." The Journal of antimicrobial chemotherapy.. 2017 Jul 1; 72(7):2042-2048. Venuto CS, Markatou M, Woolwine-Cunningham Y, Furlage R, Ocque AJ, DiFrancesco R, Dumas EO, Wallace PK, Morse GD, Talal AH. "Paritaprevir and Ritonavir Liver Concentrations in Rats as Assessed by Different Liver Sampling Techniques." Antimicrobial agents and chemotherapy.. 2017 May 0; 61(5)Epub 2017 Apr 24.